Our legal system is crowded with cases that cost considerable time and money. Any method that resolves disputes without litigation is considered an Alternative Dispute Resolution (ADR) method. The two primary methods are arbitration and mediation, which are less costly, less bureaucratic, and less stressful than preparing for trial. Furthermore, the involved parties retain greater control of the process compared with going to court. 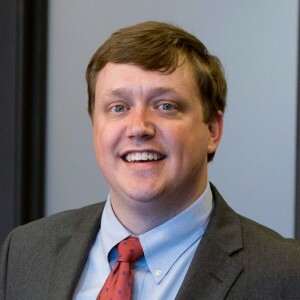 Since Tennessee’s adoption of Rule 31, mediation has become an increasingly popular method of dispute resolution. Not only do many attorneys at Tune, Entrekin & White represent parties in mediation, three of our attorneys have been listed as General Civil Mediators under Tennessee Supreme Court Rule 31. These attorneys are highly skilled in helping parties settle their disputes short of arbitration or trial. Mediation is generally a voluntary process where parties engaged in litigation agree to explore whether their case may be concluded through a mutually acceptable settlement agreement. In some instances, however, parties are ordered to participate in mediation by the Court in which their case is pending. In either event, a mediator will facilitate meaningful communication between the parties and help each understand the strengths and weaknesses of their cases. The parties to a mediation are not forced to settle their case, and if a case is resolved through mediation, it is because the parties have reached a mutual agreement. Tune, Entrekin & White routinely conducts mediations on a wide-range of issues at its Nashville offices. Parties that agree to mediate a dispute often are able to reach a mutually acceptable settlement agreement without turning their case over to a judge or jury to decide. Tune, Entrekin & White’s mediators welcome difficult and complex disputes, so please do not hesitate to contact us if you are involved in any conflict that would benefit from mediation. Unlike mediation, which is usually voluntary, parties who submit their disputed matter to arbitration are often required to do so by contract. Also, unlike mediation, the parties in an arbitration will have their case decided by an arbitrator who receives evidence and issues a binding ruling, which can include a monetary award to a party. Following an arbitration, a court can enforce the arbitrator’s award. Tune, Entrekin & White’s Todd Panther is an experienced construction arbitrator listed with the American Arbitration Association’s panel of construction arbitrators. 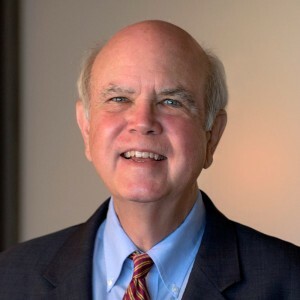 He has presided over numerous complex construction disputes in Nashville and other cities in Tennessee involving a diverse range of construction projects and disputed matters. If you are involved in a construction dispute which must be resolved through arbitration governed by the AAA Construction Industry Arbitration Rules, please contact Mr. Panther.